Unit incl. pressure tank with manometer, dust container, dust bag, spark arrester and plump separator. Tank and all automatic control is countersunk in unit top/front. 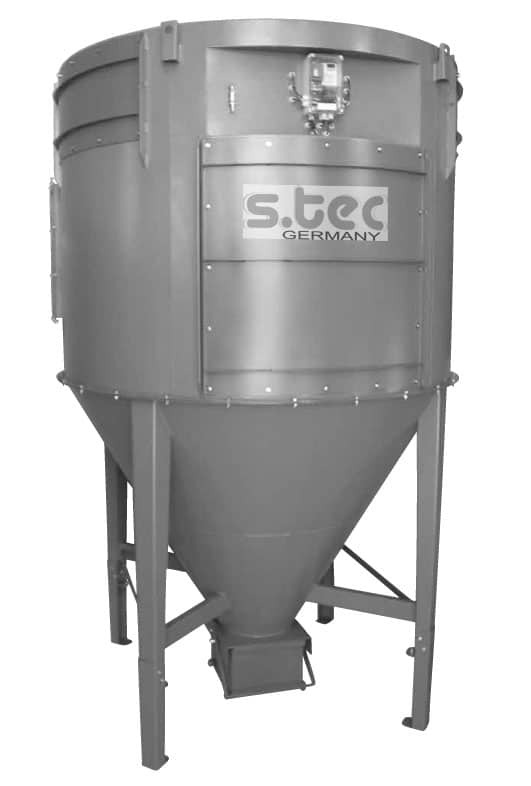 Metal dust container with quicklock system, which is placed beneath the cyclone filter. The filter change is done easily and dustfree by filter bayonet suspension, which is loosende from clean air chamber. Visual inspection of filter condition and cyclone chamber is easy to perform.